Pre-Season Preparation | Hurricane Storm Panel Manufacturing, Inc. | Hurricane Storm Panel Manufacturing, Inc.
Do you have adequate protection for your windows and doors? Do you have storm panels, roll ups, accordions or Bahamas? If not, contact us. It typically takes a day to estimate, a day to produce and a day to install the proper storm security system for a home. Plywood? Evidence from previous hurricanes has shown that plywood boards not properly installed can become flying missiles as they blow away creating additional hazards. Broken windows in exposed homes cause internal pressurization where roofs can explode and walls collapse. Understand your insurance coverage on your home and possessions as it pertains to hurricanes and flood damage. Secure a plastic tarp for roof or window for short term repairs. "I went with Hurricane Storm Panel Manufacturing because of their excellent customer service. 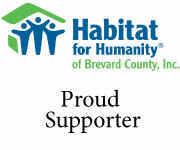 By installing hurricane shutters on my home I am able to save 20% on my annual homeowners insurance premiums as well. The clear Lexan panels installed will allow me to monitor the weather during a hurricane or tropical storm."